Lewis Hamilton has warned Formula One's owners that he will walk out on the sport if they go ahead with their plans to expand the calendar to 25 races. Earlier this week, Liberty Media, the American conglomerate which runs F1, announced that a race on the streets of Vietnam's capital city, Hanoi, will be added to the schedule in 2020. The number of rounds stands at 21, while next year's calendar, despite possessing the same number of races, is set to run into December for the first time in more than half a century. 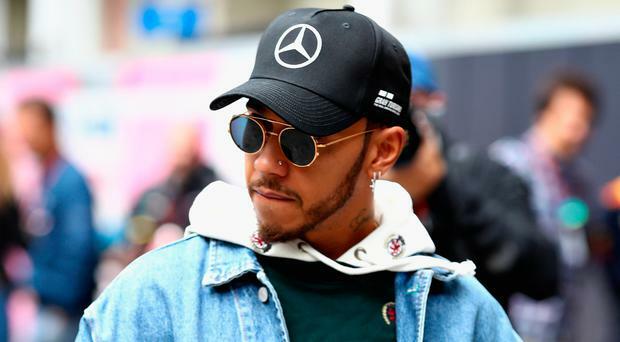 But Hamilton, who this weekend begins his title victory parade in Brazil and is F1's most marketable star, said: "I am not going to be here if it gets to 25 races. It already feels like we are on race 25 this year, so I don't think more races is a good thing. "I am someone that really loves racing, but the season is long, it takes a big commitment from all of us, and it is a long time away from our families. "The seasons are getting longer and the off-time is getting shorter, so from a competitor's point of view the turnaround is short. "You start preparing for next year as soon as the season is done, so getting your mind tuned is very difficult." Hamilton is keen to add to his tally of just one victory at the Interlagos circuit, and suggested he will not step aside for team-mate Valtteri Bottas, despite the Finn giving up his victory for the Briton at September's Russian GP. "The team are not going to make that call," Hamilton added. "I haven't asked Valtteri, but I don't think he will want that. He wants to win in his own way." By Philip Duncan Mick Schumacher clocked the second fastest time on his Formula One debut during post-race testing for Ferrari in Bahrain. By Philip Duncan Lewis Hamilton has tipped Sebastian Vettel to bounce back from the latest in his expanding catalogue of mistakes. By Philip Duncan Lewis Hamilton fears racism might not be stamped out for a long time, saying it is a prevalent issue in society.